Tara Moser of LOLA Event Productions did a great job coordinating the details of an evening filled with special toasts, speeches, and of course dancing throughout! After cutting the cake to “It Had To Be You”, boogie-ing down to a few songs, a sweet speech from the Bride and Groom, and enjoying some post-dinner coffee and cake, we kept dancing going with the special dances. Julie danced with her dad to “My Girl,” Mike danced with his mother to Louis Armstrong’s “Wonderful World,” and the couple celebrated the longest-married couple in attendance with an anniversary dance set to “In My Life” by the Beatles. Guests enjoyed photo booth snapshots thanks to Photo Booth Express, and rocked out to lots of Motown, 80s dance hits, and Classic Rock right up until the last dance, “Don’t Stop Believin’”. But the party didn’t end there; DJ Vincent shook things up and took this party into the early hours of the morning! Kudos to Bill McCluskey at the Drake Hotel, Stephanie at Anthony Gowder Design for her beautiful work, and to Dennis Lee for capturing some great photographic memories that will last this loving couple a lifetime! Allison Blum and Daniel Rosenbloom were married on July 21, 2012 at the Lincolnshire Marriott Resort. Their ceremony took place in the Marriott’s gorgeous Grand Marquee Tent. The duo of piano and violin played classical selections such as “Arioso” by Bach and Pachelbel’s “Canon in D.” Ally was simply stunning as processed down the aisle to the Andre Rieu’s “Love Theme” from the 1968 movie Romeo and Juliet. As soon as they tied the knot the couple started the fun with their recessional- “All You Need Is Love” by The Beatles. Immediately following the ceremony a Stitely solo pianist serenaded the guests during cocktails. He then joined the Stitely Orchestra bassist, drummer, guitarist, saxophonist and vocalist for a 6-piece group to play during dinner. Ally and Daniel had a typical East Coast timeline that allows for dance sets in between meal courses, so Stitely played Motown, Classic Rock, R&B, and jazz music that appealed to guests of all ages. Before even sitting down for the first course, Ally and Dan celebrated their first dance as a married couple to “Marry You” by Bruno Mars. They followed their first dance by cutting their cake to the Phillip Phillips version of “Stand by Me.” The guests then joined them on the dance floor for “Amazed” by Lonestar to kick off the first dance set. After the first set, family members performed the kiddush and hamotzi, followed by speeches. After the salad course, female vocalists Andrea Amos and Joan Collasso joined the band to make a full 8-piece Stitely Orchestra. They kicked off another dance set with some powerhouse tunes like “Rolling in the Deep” and “Respect.” Next came the entrée and a speech by the bride and groom. The next dance set began with the parents sharing their special dances with the bride and groom. Ally choose “Wonderful Tonight” by Eric Clapton for her father/daughter dance, while Daniel danced to “What a Wonderful World” with his mother. Then the room came alive with guests dancing the Hora and Krenzel. The rest of the evening the couple, their friends and family partied down to a mix of contemporary music, classic rock, and Motown. Ally and Daniel chose not to do the garter toss, but enjoyed tossing the bouquet to Beyonce’s “Single Ladies.” The band kept the energy going strong all the way to the end with their final song “Raise Your Glass” by Pink. After the band departed, Stitely’s DJ Vincent finished up the night beginning with “Don’t You Want to Stay” by Kelly Clarkson and Jason Aldean and “Glad You Came” by The Wanted. Thanks to all the vendors who made this party so successful! Kudos to Day-of Planner, Melinda of To The Point Events, Laura at the Lincolnshire Marriott Resort, Daniel with Joseph’s Florist, and to David from Jolie Images. Gina Bucciferro and Tyler Neill tied the knot on May 26 at Chicago’s Holy Family Church. This super-sweet couple chose a Stitely solo pianist for their ceremony, creating an atmosphere of intimacy in the beautiful old church. The bridal party processed in to Frank Mills’ “Music Box Dancer” by Frank Mills, while Gina walked down the aisle to “Forever” by Ben Harper. (Such a great song!) They chose a fun, distinctive recessional- “Linus and Lucy” by Vince Guaraldi from Charlie Brown & the Peanuts. Gina and Tyler’s reception took place at the gorgeous Rooftop Terrace of the Harris Theater in Millennium Park. The couple really enjoys new music, but their parents really like oldies and Motown, so they booked the ultra-versatile 10-piece Stephanie Rogers Band. And SRB totally rocked the joint! After a brief cocktail hour of solo piano, the bridal party was introduced to a raucous rendition of “Get up Offa That Thing” by James Brown, followed by the parents’ who entered to the sweet sounds of “This Will Be an Everlasting Love” by Natalie Cole. A quintet of bass, drums, keyboard and singers serenaded the guests as they enjoyed their delicious dinners provided by J & L Catering. Kudos to Chrissy from Big City Bride for planning a wonderful evening, A Stem Above for gorgeous flowers and decorations and Robyn Rachel Photography for the fabulous photos! We love working with you guys! Christine Dorner & Mike Combs married on April 21, 2012 at the beautiful Germania Place in downtown Chicago. We were already familiar with this lovely couple since the Stitely Orchestra played for Mike’s sister’s wedding last August. (Remember Liz and Hank? Liz is Mike’s sister and Christine was her maid of honor. Christine returned the favor; Liz was her maid of honor too!) Christine and Mike also chose the Stitely Orchestra after hearing them at Liz and Hank’s wedding. After a relaxing cocktail set played by Stitely’s jazz trio, the couple and the bridal party burst onto the scene to the Chicago Bulls Entrance Theme. After a couple of toasts Mike and his mother, Gail, cut a rug to “You Are the Sunshine of My Life” by Stevie Wonder. Christine and Mike danced to “The Best Is Yet to Come” by Frank Sinatra before cutting their cake to the sounds of “How Sweet It Is (To Be Loved by You)” by Marvin Gaye. Then the real party began. Christine tossed her bouquet with abandon to Cyndi Lauper’s “Girls Just Wanna Have Fun,” while Mike tossed his garter to the sultry “Stripper Song” by David Rose and his Orchestra. Christine and Mike like a mix of classic Motown and rock, along with more recent tunes, so throughout the evening Stitely flooded the dance floor with hits like “We Found Love,” “Party Rock Anthem” and “Dynamite.” The night ended with the Ray LaMontagne’s sweet serenade, “You Are the Best Thing.” What a wonderful way to end such a wonderful wedding! Thank you to Amy and Carolyn at An Event Less Ordinary for their coordination throughout the evening as well as the planning process. 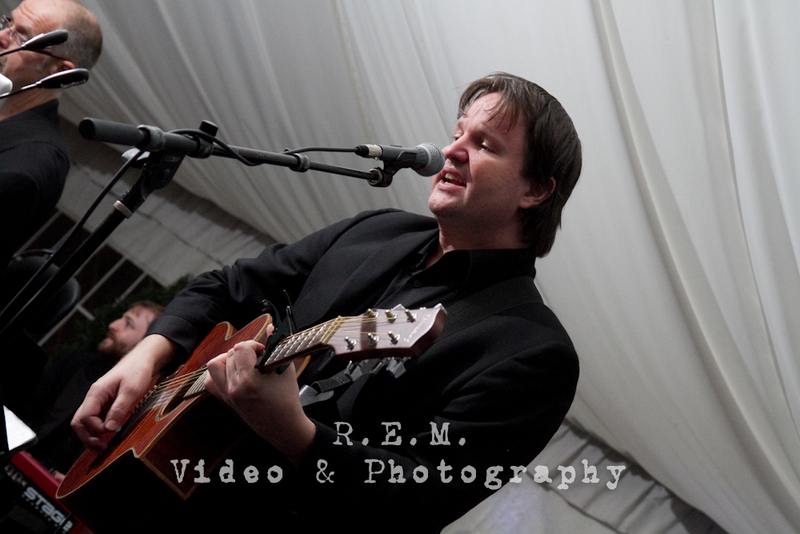 Thanks also to Cristina G Photography, Sally O’Brien from Sally Films, Katie at Kenmare Catering and Germania Place. You made this night a smashing success! Shaska & Michael were married in a beautiful ceremony on May 12 at the Chicago History Museum. The Stitely Orchestra was thrilled to be there as this super sweet couple tied the knot. This modern couple shook up the traditional in more ways than one, beginning the evening with an hour of cocktails followed by their ceremony. Stitely’s solo pianist played a few of their fav. indie tunes like “Chicago” by folkie Sufjan Stevens for the processional and “In the Aeroplane Over the Sea” by Neutral Milk Hotel for the recessional. During the the delicious dinner catered by Food For Thought, Stitely’s contemporary quartet serenaded the guests with songs by artists like Wilco and Radiohead. With the cake cut, toasts given, and special dances danced now it was time to party! The Stitely Orchestra packed the dance floor with an evening filled with hits from the ‘90s, 2000s and 2010s for the modern bride and groom. A favorite moment was watching Shaska, Mike and all of their friends rock out to “Fire” by Bruce Springsteen. After the band played their last song, “Remix to Ignition” by R. Kelly, DJ Vicente stepped in to spin and keep the energy going until the very last minute. Congrats again to Shaska & Mike, we wish you nothing but the best! Thanks to the wonderful vendors who helped this evening shine: Zeena & Savira at Oliveaire Artisan Events, Robert at REM Video and Photography & Jennifer from Food For Thought. The luck of the Irish was with Kaitlin Wylder and Frank O’Hare as they tied the knot this past St. Patrick’s Day at the Atrium Events space at Architectural Artifacts. They couldn’t have asked for a more warm and sunny day in the middle of a typically frigid Chicago March! Keeping with the festive spirit of the day, Frank & Kaitlin looked fabulous with their emerald accents like her adorable green shoes! The ceremony began with a Stitely string trio playing some classical selections, including Pachelbel’s “Canon in D” and Handel’s “Allegro Maestoso” from Water Music. However, Kaitlin’s processional down the aisle was extra special with a surprising performance of “Theme 1 (Waltz)” written by Chicago native and Indie whistler, Andrew Bird. With the buzz of the ceremony still in the air, the couple socialized with their guests until dinner. Their fantastic venue made for some excellent photos as they and their family and friends mingled amongst antique lighting fixtures, drawings, and architectural relics from around the world. Then Stitely kicked off the party with tons of Motown, R&B and Soul, and kept the floor packed with a mixture of party classics and modern hits like “Moves Like Jagger.” To satisfy Kaitlin & Frank’s love of ‘90s R&B and hip-hop, DJ Vincent spun during band breaks, playing hits from artists such as Boyz II Men. DJ Vincent kept the celebration rolling even after the band ended with Ray Charles’ “Shake Your Tailfeather.” But all good things must come to an end, so at midnight he fixed his final tune, “All Night Long” by Lionel Richie before sending the couple off. Congratulations again to Frank & Kaitlin! We’re so pleased to be a part of your special day and we wish you nothing but the best in the future. Thanks also to our fantastic vendor partners: Food for Thought, Atrium Events, Victoria Sprung Photography and Hollie Smith from Sweet Chic Events! 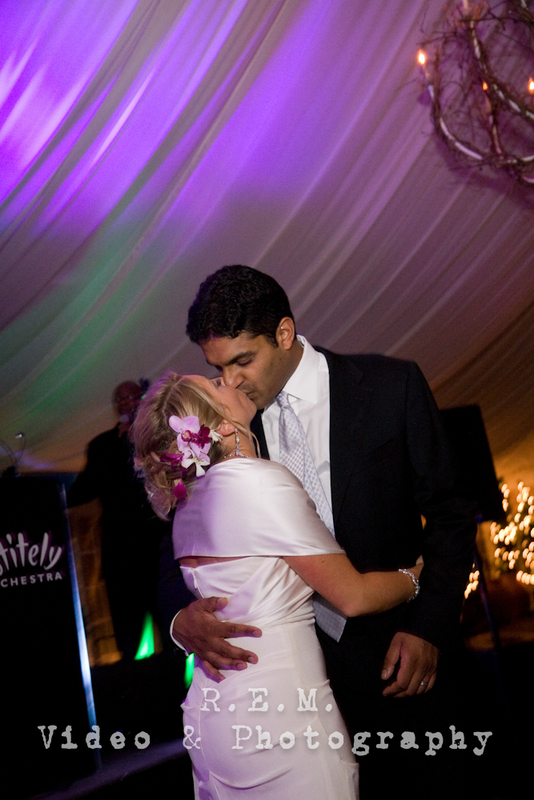 Emily Klein and Katen D’Souza were married in the beautiful courtyard of Galleria Marchetti on September 25, 2011. Their wedding was such a blast! The couple booked three different forms of Stitely entertainment for their big day including a soloist for their ceremony, a guitar/vocal trio for dinner and a rockin’ 7-piece band for dancing at their reception. Thank you Robert at R.E.M. Video & Photography, Allison from Stems Chicago, and the amazing staff at Galleria Marchetti for putting on such a wonderful day for Emily and Katen!